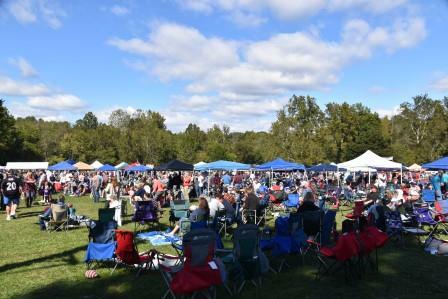 The Union Mills Homestead, a national historic landmark, will host the fourteenth annual Maryland Microbrewery Festival on September 28, 2019 from 11AM – 6PM. This fun-packed festival celebrates and promotes the best of Maryland’s handcrafted and distinctive microbrews. Come join the fun of Maryland's premier beer festival! Advance Ticket Ticket Sales - Available after June 1, 2019. Limited Admission: Tickets sold on first come, first served basis. Ample Parking, both onsite and at a satellite parking lot near the airport. We are pleased once again to host this unique event to promote Maryland’s microbreweries in a great setting at the historic Union Mills Homestead. The Maryland Microbrewery Festival is the highlight and culminating event of Carroll County Beer Week Proceeds of the Festival support the Union Mills Homestead Foundation's ongoing interpretation and preservation of the historic Union Mills site. Please contact us at 410-848-2288 if you require additional information. Thank you for your support! More beer festivals can be found at http://www.beerfestivals.org/. Want to receive our newsletter? Please enter first and last name and email address. Union Mills Homestead Foundation, Inc.